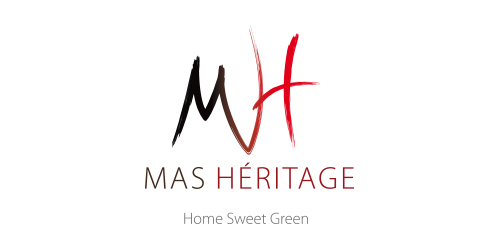 At Mas Heritage the harvest continued until September 21st, the first day of autumn! It is a normal year -neither early nor late. But it has also been for François Tissot one of the most difficult vintages! Let’s go back a little to the beginning of the year … The months of March and April were very wet. These conditions were favorable to the Black Rot which quickly developed then at the end of April as the temperatures climbed and it became a humid tropical climate! The black rot then gave way to welcome another unwanted vineyard problem: Mildew !! 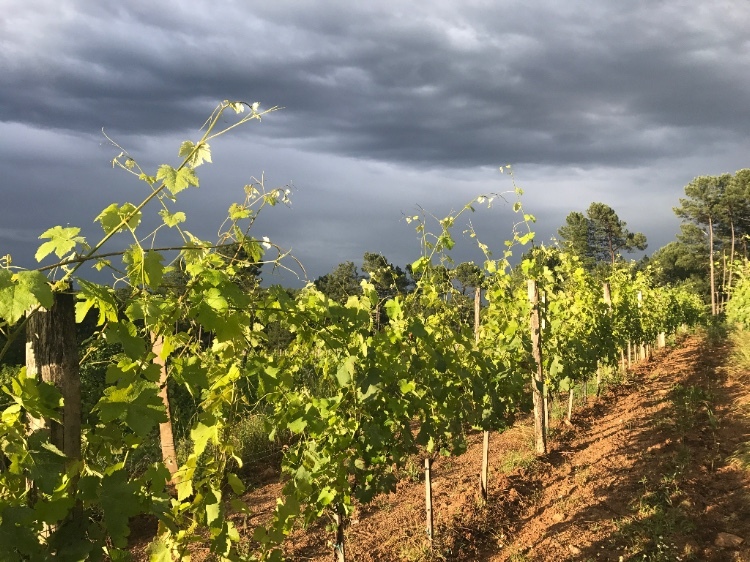 On the estate, some clusters were affected but François did well with 7 copper treatments that he could apply at the right time – protecting the vineyard to the maximum! The grape variety most affected was Chardonnay, though it remained reasonable. The summer was then very hot and very dry, the mildew pressure stopped at the beginning of July, and gave way to the drought. This was finally a period of relief! 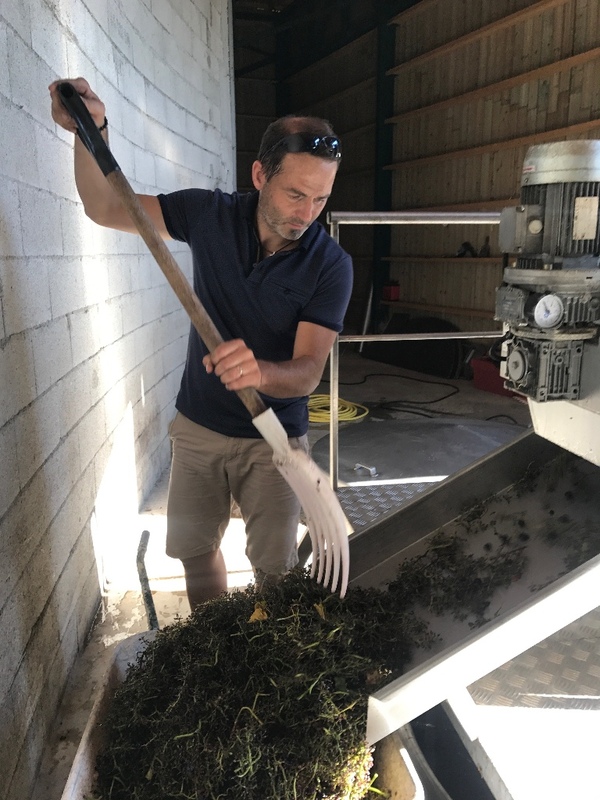 Passionate about organics, François Tissot is not only a winemaker, he is also a wine consultant for neighbouring domains established in organic farming. He is inexhaustible on the ground and completes the different jobs necessary to maintain a rich and active microbial soil life! For him, one of the advantages of weeding the inter-rows of legumes, is that this plant is very easily mycorhizable. In addition to the nitrogen supply, the microbial life maintained by these mycorrhizae during the inter-season allows the vine to self-protect more easily. Indeed, they promote a better availability of assimilable minerals, thus ensuring optimal nutrition for the plant to defend itself. 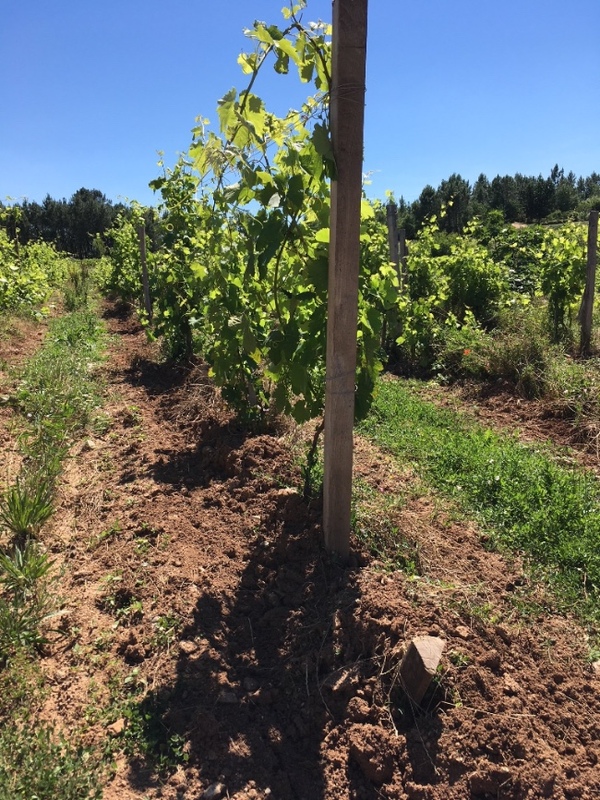 The soils of Mas Heritage are sandstone soils. This means that François must keep the soil loose over the first 10 centimeters to let water seep during the rains. 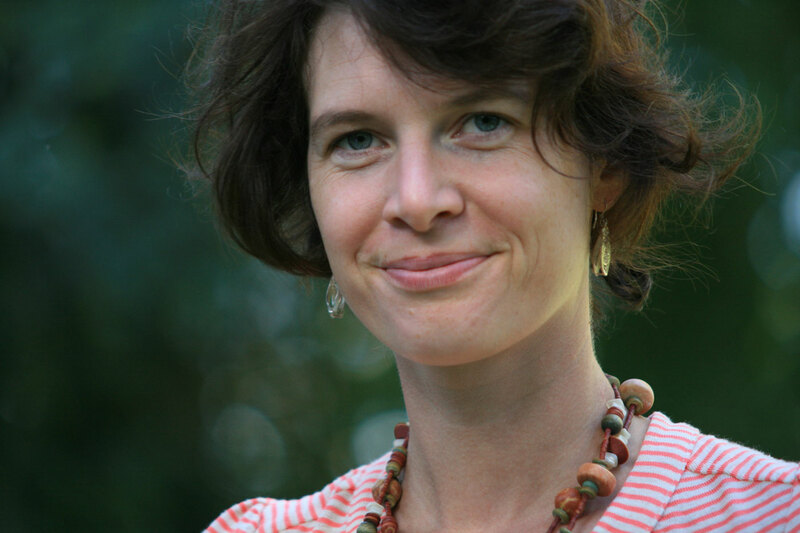 This Gréseuse arena is easily compactable and creates an impervious layer if the soil is not worked regularly. As the summers are very hot and dry, the vine could suffer from drought if a soil treatment is not done before the summer. Soil work does not necessarily mean deep-plowing. François believes that we must not destroy the layer of humus, but in his case, a compacted surface layer can be broken superficially. Despite all of the difficulties of this vintage, François is sure of one thing – this will be a very GREAT vintage! 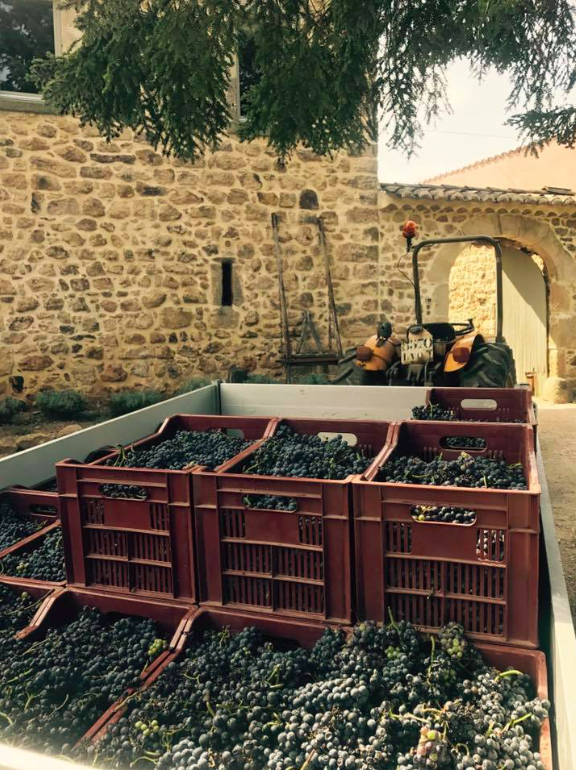 The harvest began in the ideal conditions; the temperature were very hot during the day (35°C) and were relieved by cooler temperatures during the fresh nights (15°C). 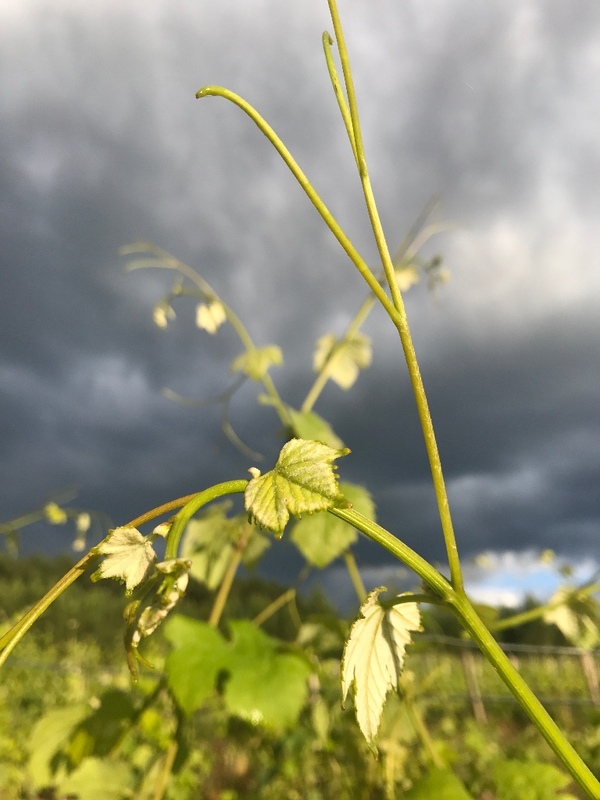 Such a large diurnal shift allowed for a very good maturity without a significant difference between technical and phenological maturity, which occurred almost at the same time. 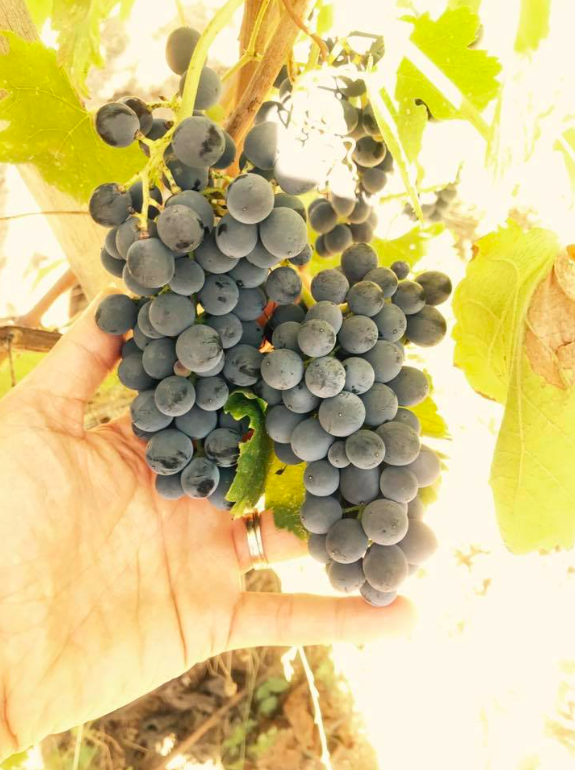 Despite the small yields the degrees of alcohol are between 12 and 13 ° C. The grapes have matured without super concentration and rather very gently. 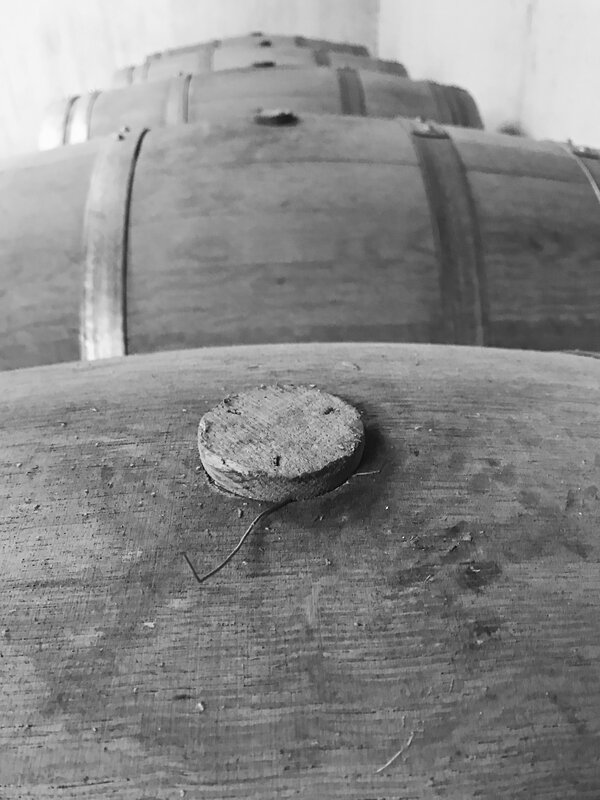 New projects – a beautiful cellar! 2018 rhymes with big Projects! François has his new winery, which he rents from a former producer. This cellar was built to receive the harvest via gravity and minimize the use of the pumps. It is built on a hillside, the basement is buried, the ground floor is at the foot of the hill and the reception area for the harvest is on the upper floor on the slope of the hill. 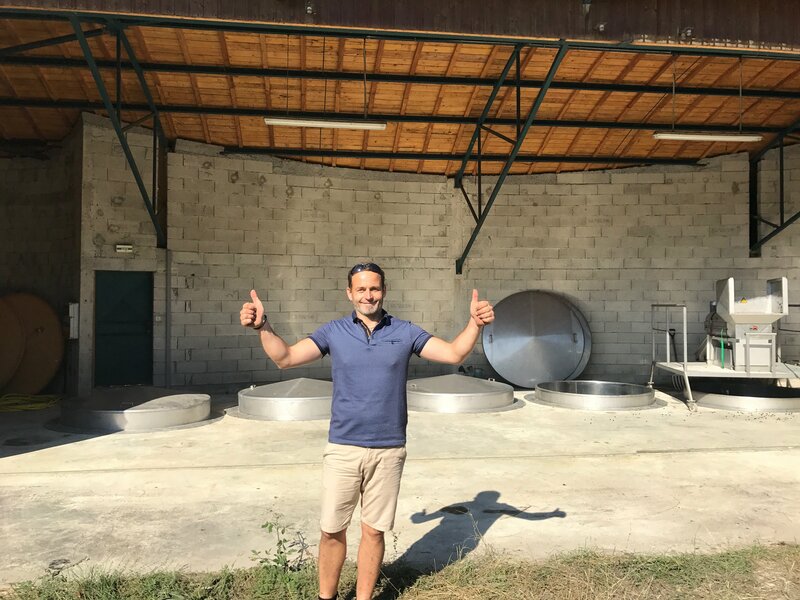 All the equipment allows for serene work: the stainless steel vats are completely open and adapted to winemaking in the Burgundy way, as Francis likes to do. He digs down to what he thinks, besides the fact that it is economical, and can feel all that happens in the tank during this important phase of fermentation: the temperature, the state of the caps, etc. He likes to be in touch with his wine. François tells me the story of a meeting that left an impression on him in 2002, which today guides many of his winemaking choices. At the time, he was a consultant oenologist and visited a winegrower from Languedoc, working in biodynamic culture. François tells me that this is what happens with the pigeage by the feet. There is no fantasy, but the assurance that the extraction will not be too much because the man is not a machine and when there is no more force, then the punching stops, and the result is that the extractions are soft! Photo 3 : Pushing down the cap – by feet – with a team of helpers! In 2017, François produced a red wine made from 100% vines from his estate, and therefore released as Mas Heritage – the name of the property! Vinification in demi-muid during 5 weeks in whole-cluster. He harvested the Pinot Noir then about 15 days later the Syrah, that joined the demi-muid in which the fermentations had already started. 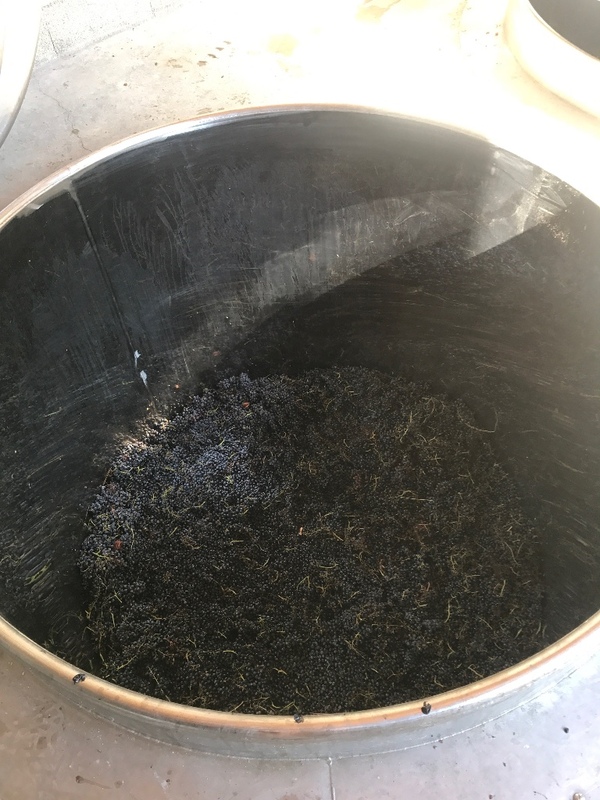 This long maceration was done without extraction, but rather as a simple infusion – the wine when pressed is put in barrels. Today the wine is being aged but already has an explosion of fruits! François plans a bottling at the end of the year 2018. 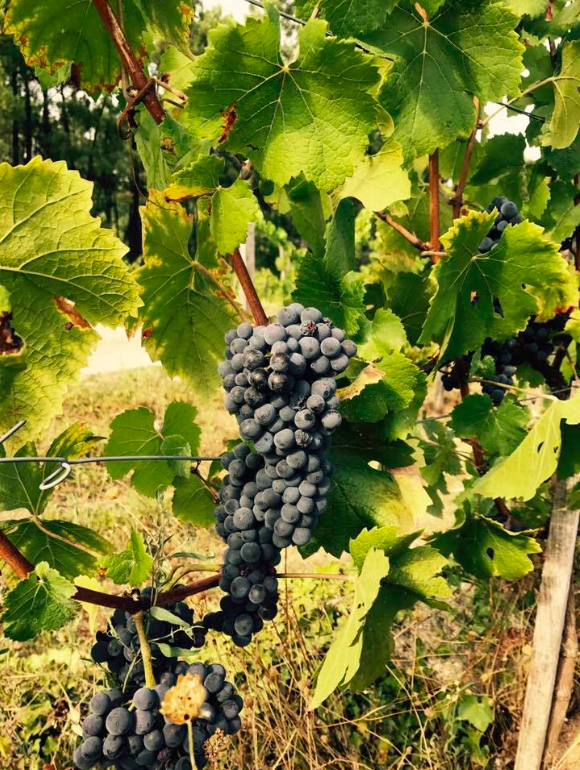 It is for him a second dream that has come true (after this new cellar): the confirmation that Pinot Noir, a grape variety that it particularly sensitive to the environment, adapted to his soils. François calls this wine the BBQ wine – and he is right! A touch of reduction enrobes the fruit with ring of smoke, with slight tannins that give the wine a pleasant astringency. Notes of black fruit, black berries, black currants, and dried blueberries, the tannins are well-balanced in the wine. Beautiful freshness, 100% fermentation and ageing in oak, notes of lemon peel, garden herbs, pears, white peaches, almond flowers; a fuller texture rounded out with a touch of salinity. Fine, elegant, supple and round in the mouth, this wine is perfumed by aromas of black fruit – black plums and black berries – with notes of chocolate, purple violets, and a velvety tannin structure. Scent of yellow peaches, nectarines, dry straw, a very long a creamy mouth. Beautiful complexity with notes of yellow peaches, banana, summer melon and pineapple. Touches of anise, fresh herbs, jasmine, orange flower and vanilla. Clean finish, dry, with a nice citrus touch. Complex wine, with a nose that has a touch of petrol on the opening. Warm mouth with notes of licorice, honey, white flowers and almond blossom. 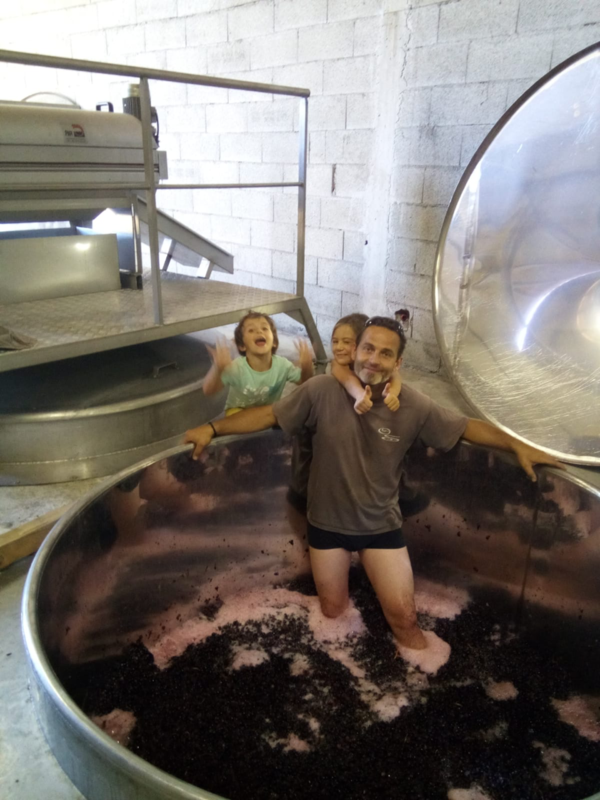 July 2017 – Domaine des Homs – Minervois !